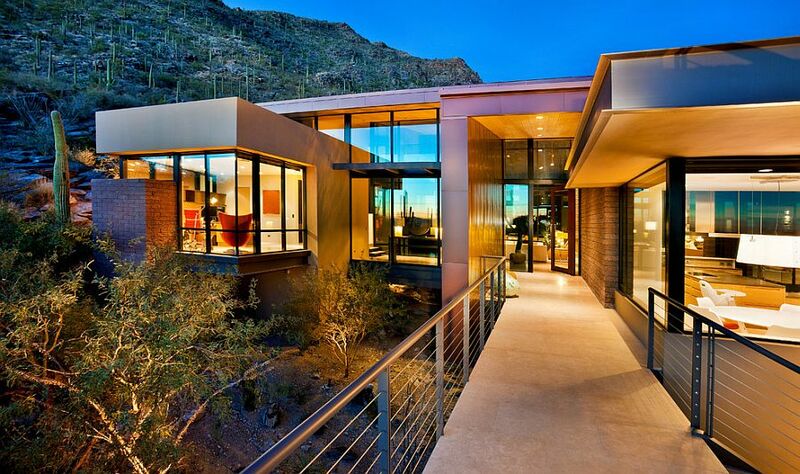 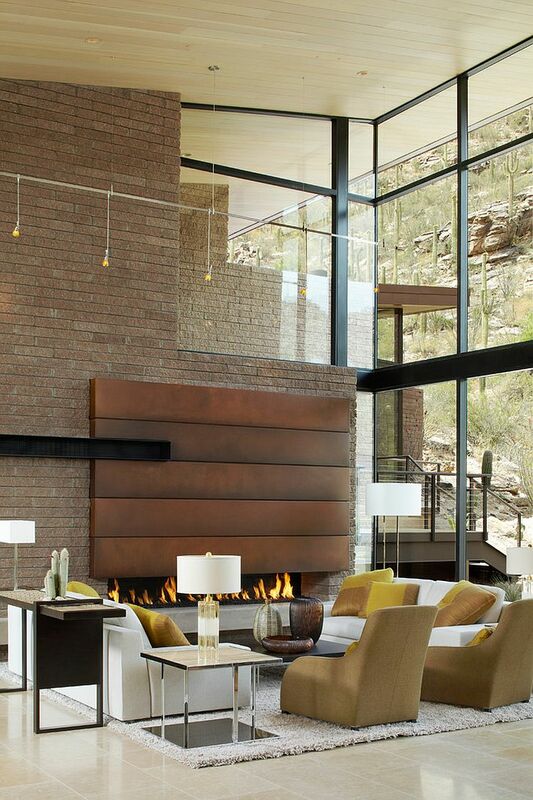 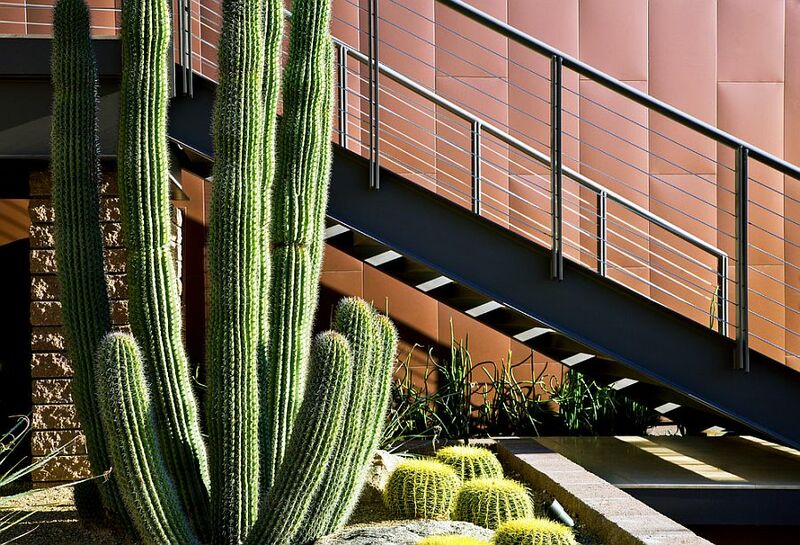 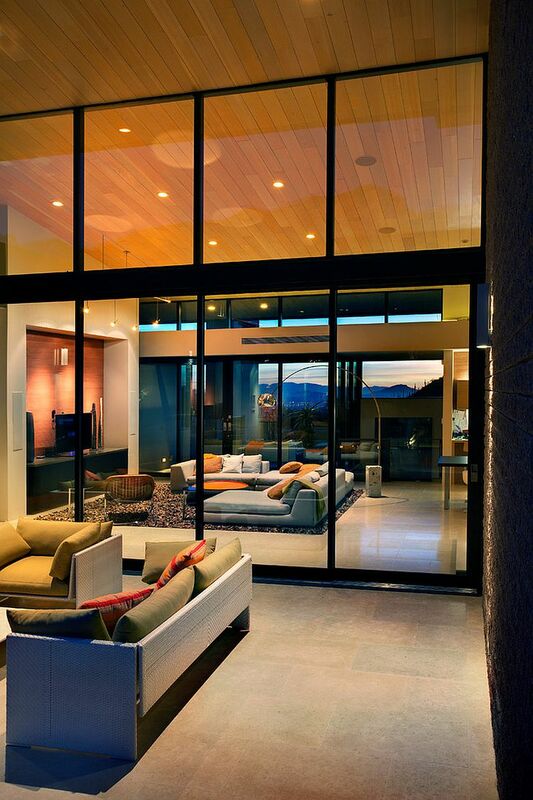 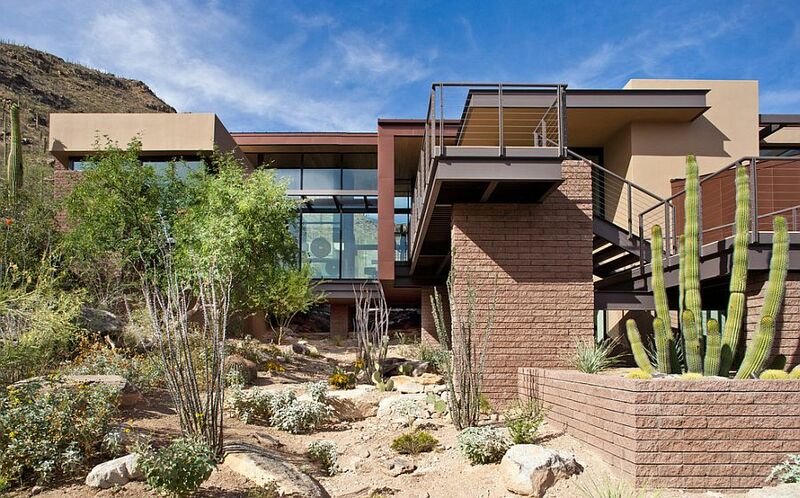 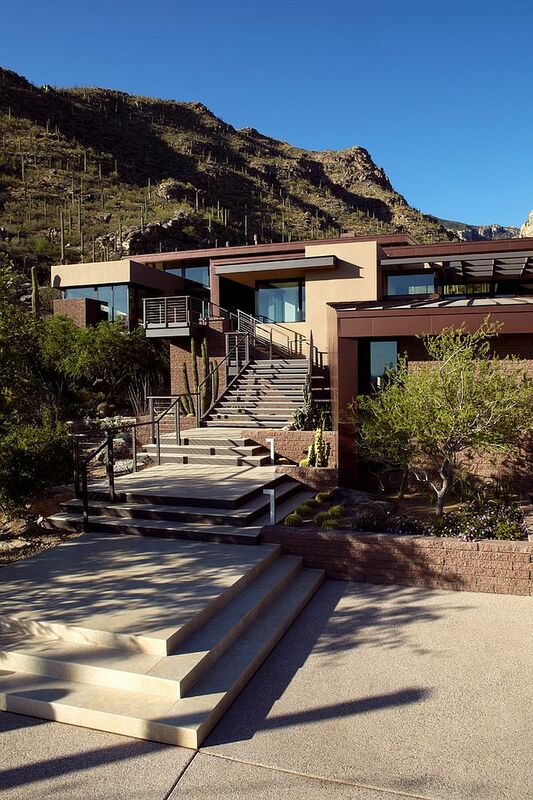 Nestled in the arid landscape of the Sonoran Desert, this contemporary residence aims to find that perfect balance between an inviting living environment and responsible architecture that takes into account the existing ecosystem. 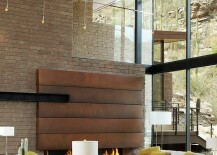 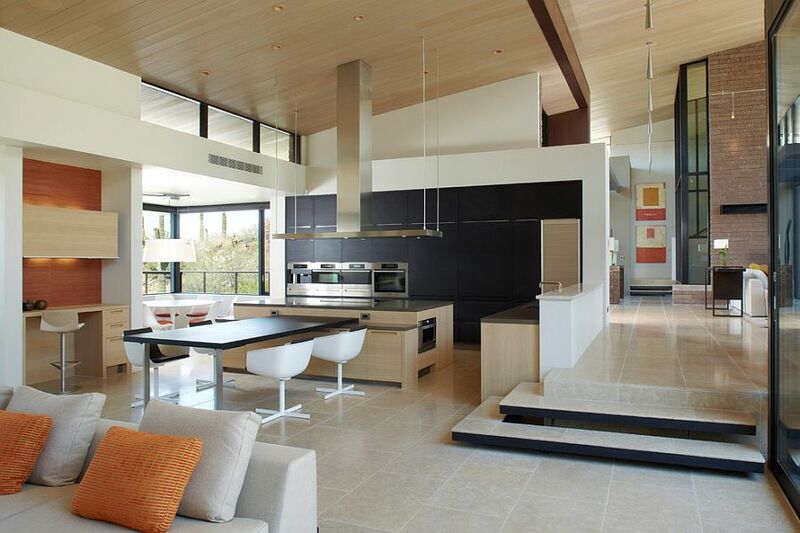 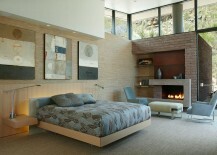 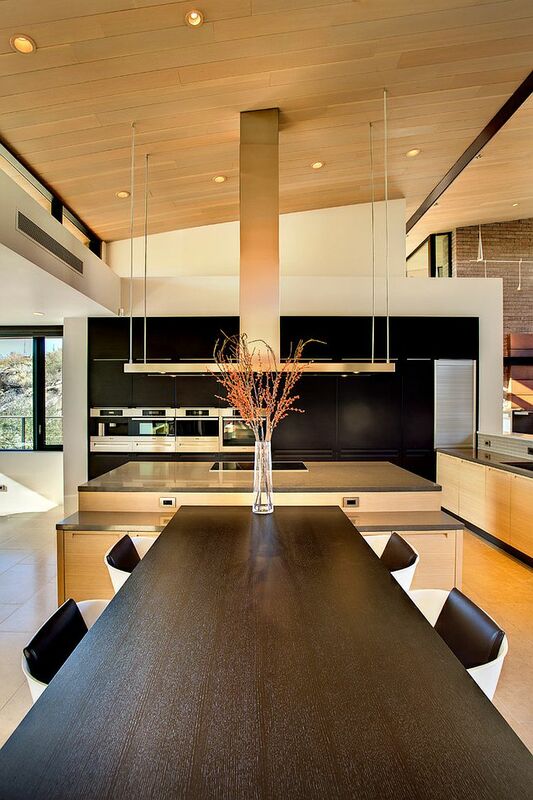 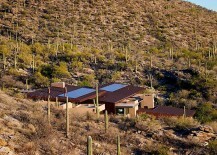 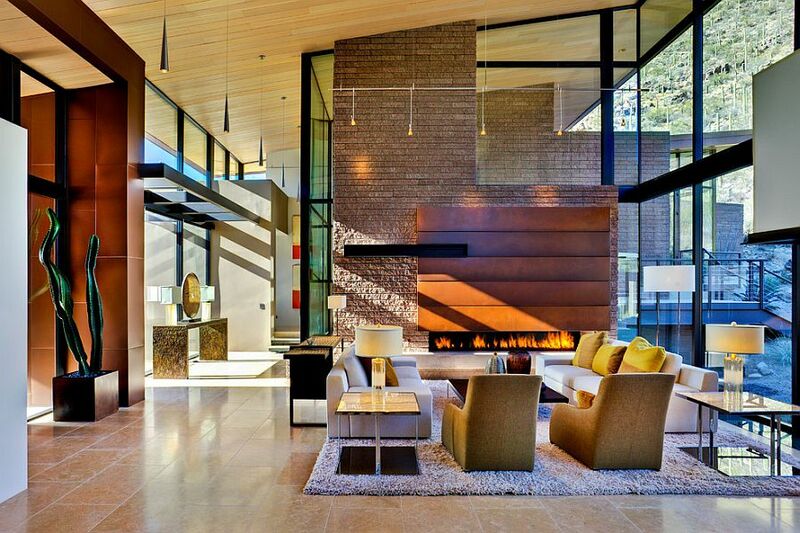 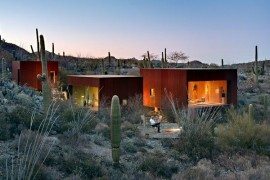 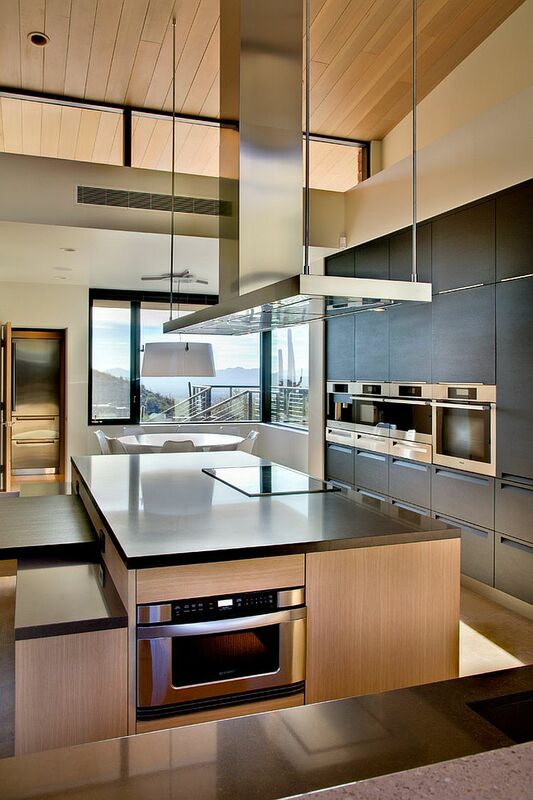 Designed by Kevin B Howard Architects, the house sits on a lot that contains watershed patterns, and the challenge of working the home around these without impeding them determined the desert dwelling’s overall silhouette. 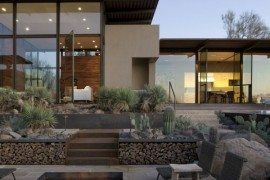 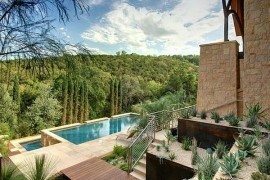 The beautiful Tucson home combines scenic views with a cool indoor-outdoor interplay and an array of sustainable features in a seemingly effortless manner. 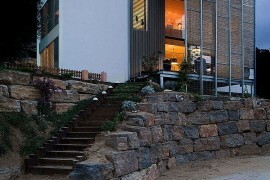 One of the striking features of the house is the clever use of staircases, bridges and walkways to ensure that the ground below is left as untouched as possible. 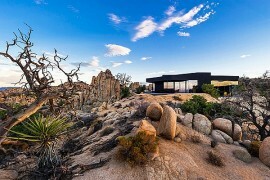 With an exterior that seems to blend with the colors of nature all around it, the distinctly contemporary structure seems like a natural extension of the countryside. 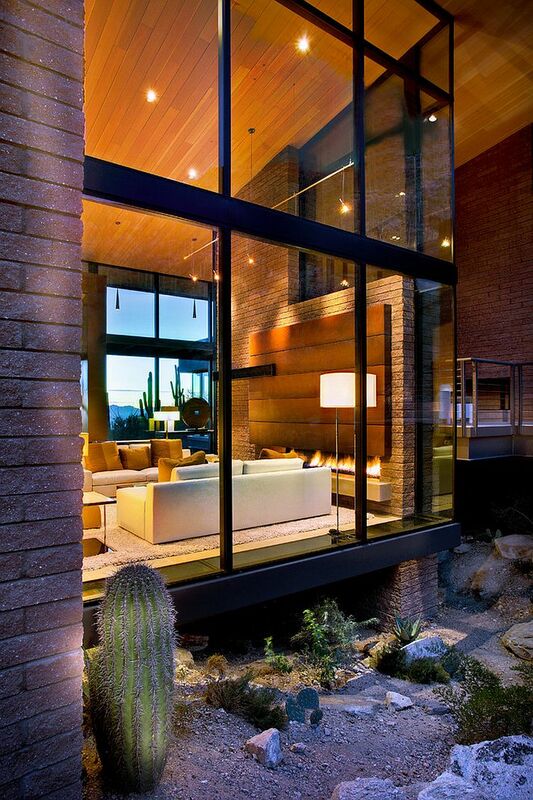 Large glass windows not only bring in plenty of light, but also help in keeping the home warm during the chilly winter months. 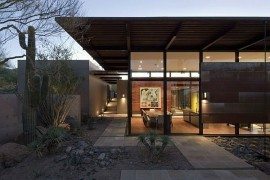 The orientation of the home is such that the house benefits from extra sunlight during the colder months, while it is protected from the harsh desert heat during the summer. 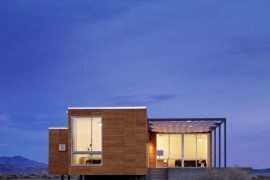 This passive cooling and heating technique also cuts out reliance on artificial temperature control systems. 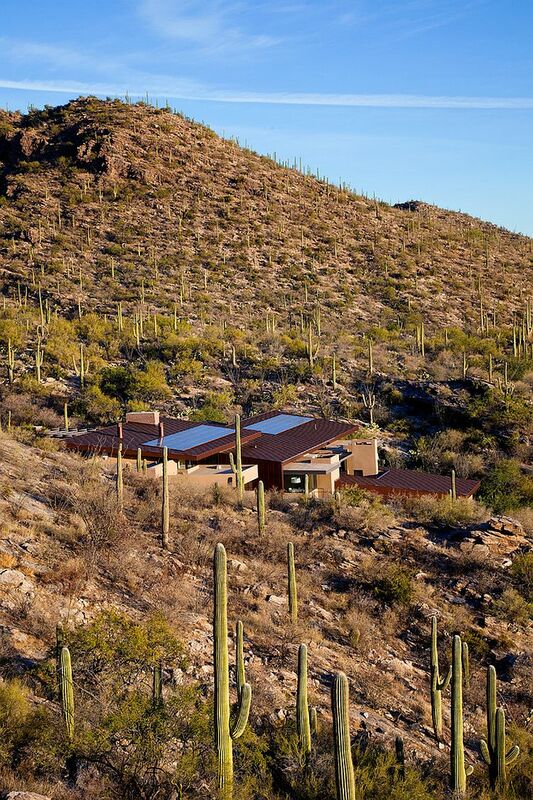 An array of 72 photovoltaic panels on the roof brings home plenty of green energy, and once again the orientation of the home and the slope of the roof help in maximizing the output of solar energy. 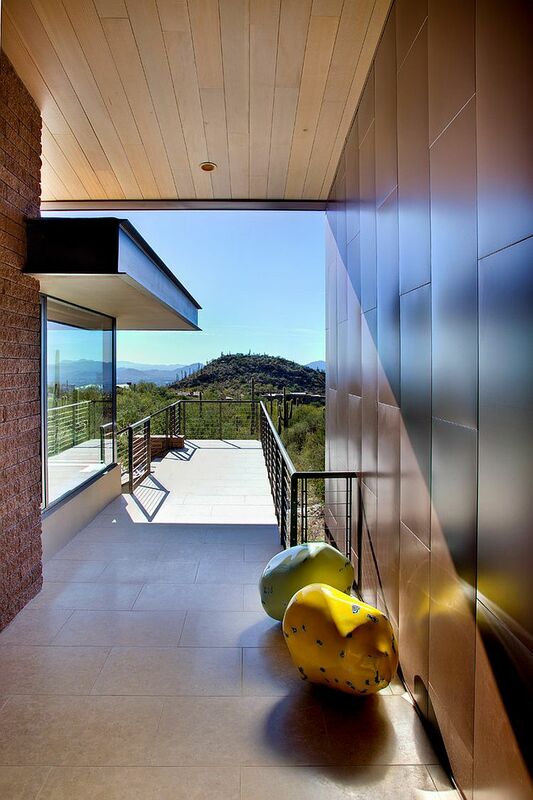 Open living areas, cozy bedrooms and a curated outdoor living zone complete this nifty residence where architecture ventures way beyond mere aesthetics.